The transition from fee-for-service to value-based payment models, declining hospital admission rates, and escalating healthcare costs are contributing to the shrinking revenue figures in the healthcare sector today. While trying to navigate the rough sea, these organizations are again met with changing regulations and a need to adopt innovative digital technologies, which altogether create a ripple effect on the sector. Today, to compete in this environment that demands clinical and operational efficiency, healthcare providers need to ensure that their financial operations—that directly impact revenue generation capabilities— are running efficiently. A well-managed revenue cycle management (RCM) system serves as the backbone to a healthcare providers’ financial health, as it can assess, optimize, and manage all components in obtaining patient clinical information, while creating a simplified, integrated workflow to ensure hassle free claims approval. Since, these processes run the show on the financial end of healthcare, RCM solution providers are driving innovation with their copious solutions. 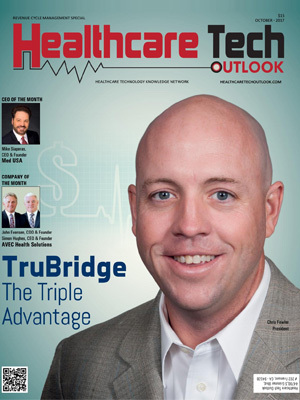 For this edition of Healthcare Tech Outlook, our selection panel has evaluated hundreds of revenue cycle management solution providers and shortlisted the best ones based on their ability to assist CIOs and enterprise holders overcome the challenges in the sector. We present to you Top 10 Revenue Cycle Management Solution Providers-2017.